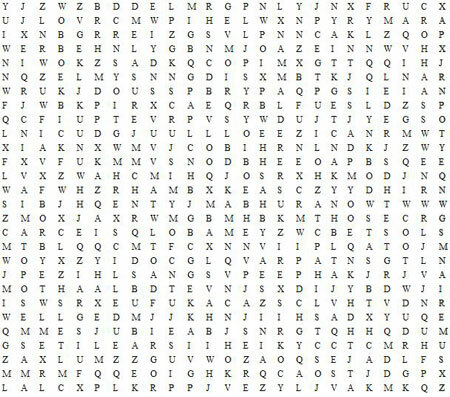 Find and circle the words from the list. All but two are in the puzzle. When you get the right answer, email iletisim@bilkent.edu.tr! Email 9 gets dessert and a beverage from Mozart Cafe. Email 17 and 18 get a one free game of bowling at Roll House. Email 21 and 22 get a free game of darts at Roll House. Email 39 gets a beverage and noodle dish from Quick China. Email 48 get chocolates from Bind Chocolate. 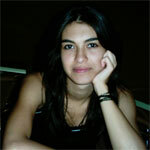 Bilkent News Welcomes Feedback From Readers. This newsletter will print letters received from readers. or to the Communications Unit, Engineering Building, room EG-23, ext. 1487. The Editorial Board will review the letters and print according to available space.